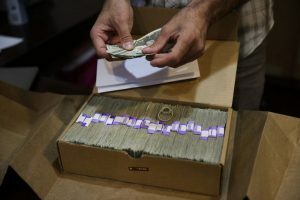 GLENWOOD SPRINGS — The bureaucratic wheels are in motion to clear the way for one, and possibly two Glenwood Springs businesses to join in Colorado’s retail recreational marijuana boom. 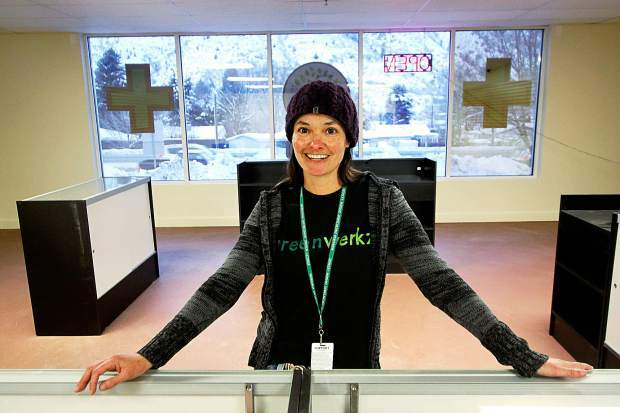 Denver-based Greenwerkz, which operates one of Glenwood’s five existing medical marijuana dispensaries, at 2922 S. Glen Ave., recently renovated its space to be able to sell marijuana to both registered medical patients and recreational customers. 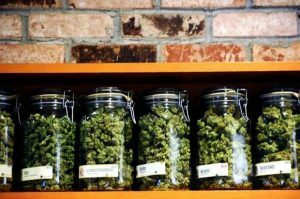 Colorado’s marijuana laws require that medical and recreational sales be physically separated when offered out of the same facility, and that persons under age 21 not be allowed on the premises of retail pot outlets. City building officials awarded a certificate of occupancy to Greenwerkz last week. The business is now awaiting a formal hearing date before the local licensing official who will decide whether to allow it to begin recreational sales under the provisions of Amendment 64. 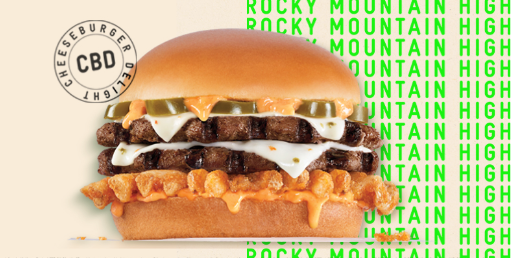 “We’ve made the modifications to the building and met those regulations and passed all the inspections, so we’re just waiting for the licensing,” said Melissa Finn, manager for Greenwerkz’ Glenwood location. Once a hearing date is set, a hearing officer, who also considers liquor license requests in Glenwood Springs, will have 60 days in which to make a decision, according to the city’s licensing rules. At the same time, the waiting period will allow Greenwerkz, which has its cultivation operations in the Denver area, to build up its stock so it can meet the anticipated high demand for recreational sales, she said. Based on the experience thus far for the Roaring Fork Valley’s only other retail pot outlet to open since such businesses were allowed starting Jan. 1, the Doctor’s Garden in Carbondale, that demand is likely to be huge, Finn said. After opening on Jan. 15, Doctor’s Garden owner James Leonard reported last week that his store sold out of most of its product, with the exception of pot-infused edibles, in just two weeks. New supplies are not expected until next week, he said. “We have tons of people who are ready to buy,” Finn said of the steady stream of would-be recreational pot purchasers who walk through the doors at the south Glenwood location every day. “I already turned away 10 or 12 people just this morning, and we’ve only been open two hours,” she said Tuesday. “I knew there was going to be a lot of demand, but I didn’t anticipate it would be so big where retail locations are running out of product. “I think it’s a lot bigger than anyone even anticipated,” Finn said. Meanwhile, a proposed relocation by a second Glenwood Springs medical marijuana dispensary, Green Essentials, could also allow it to eventually apply for a retail recreational sales license. Currently, Green Essentials operates its medical dispensary at 404 10th St. in downtown Glenwood Springs, and has a marijuana cultivation facility on Highway 82 south of town, in unincorporated Garfield County. 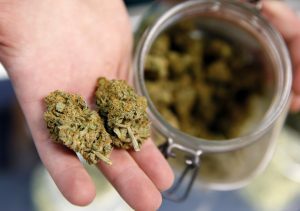 Because the county commissioners have prohibited all types of recreational pot businesses in unincorporated areas of the county, it and other dispensaries that grow their medical product outside city limits would not be able to expand into the retail market. So, Green Essentials applied with the city of Glenwood Springs last month for the right to relocate its dispensary, as well as its cultivation operation, to the former Coors warehouse at 1420 Devereux Road. 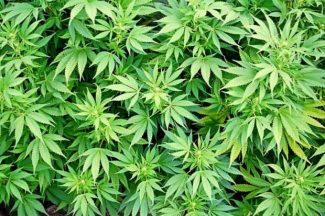 The city’s marijuana laws limit cultivation to the one and only industrial zone district, which is situated along Devereux Road. The old Coors warehouse most recently housed the fiberglass products manufacturing firm Fiberforge, until it went out of business last year. A building permit for the facility requires only an administrative review, while the relocation request would have to be considered in a hearing before the city’s licensing officer. Green Essentials owner Ron Radtke could not be reached for comment Tuesday for this story.